Stamford, Connecticut, U.S.A. --- Father Zhao KeXun (趙克勛), approximately 75 years old, an underground Roman Catholic priest and administrator in charge of the Diocese of Xuanhua (宣化), Hebei (河北), has been released by the Chinese authorities on June 1, 2005 in the morning. 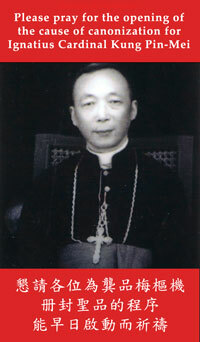 He was arrested on March 30, 2005 according to the press release issued on the same day by the Cardinal Kung Foundation. 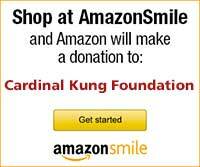 Joseph Kung, the President of the Cardinal Kung Foundation, said: "We hope that this release is not an isolated case, but rather the beginning of the release of many dozens of other Roman Catholic bishops, priests, and faithful currently being jailed by the Chinese authorities across China. This would show China's sincerity about improving its relationship with the Vatican."